Your brain functions on a small amount of electricity, much like a computer. This electrical current vibrates, pulses, at various speeds. When you are wide awake your brain vibrates 20 times per second—what scientists call the Beta frequency. You are probably at this beta level of mind right now as you read this. When you go to sleep, your brain frequency slows down, all the way to about half a cycle per second in the deepest levels of natural sleep. This is known as the Delta level. In between Beta, the waking state, and Delta the deep sleep state, there are two other levels of mental activity. When you are in a light level of sleep or in meditation you are in the Alpha range, which is 7 to 14 cycles per second. This is the center range and this is what we mean by saying “going to your center”. Going to the alpha level or centering is the same as meditating. When someone meditates, scientifically, they are simply reducing their brain wave frequency to alpha. The Alpha level is the level we use to activate our minds. Theta is a level of deeper relaxation or sleep, when your brain waves are at 4 to 7 cycles per second. Alpha 7-14 Light Sleep, Meditation, Intuition, no time & space limitations. Theta 4-7 Deep Sleep. Meditation. There are many benefits of “going to the alpha level” or meditating. Jose Silva found that people who can remain in the alpha level while analyzing information have access to more information than those who remain in beta to do their thinking. Surges of intuition, creative ideas and inspirational thoughts and come to people while at this alpha level. Going to Alpha is also good for programming your mind. At the alpha level you can learn to overcome all kinds of problems, such as insomnia, tension and migraine headaches, bad habits, and much more. You can also program your mind to help you achieve your goals and make your dreams come true. The Silva Method Seminars hold the secret of unleashing the Powers of Your Mind by helping you to Develop The Ability to Function Consciously at the Alpha Level. In other words, you can will never feel limited and oppressed if you have these specific techniques—you will always break the chains. ALWAYS! MILLIONS of people in over 180 countries have used The Silva Method™ to transform their lives. 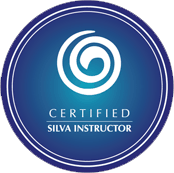 Begin your Silva journey by attending a live Silva seminar.